The wind stayed up pretty good out of the South and even increase to maybe 18 knots plus in the afternoon so even though the boats were beating to windward it was nice to see the tacking back and forth across the bay. Was everyone headed to Harbor Fest in Norfolk or was there an Offshore Race going on? Annapolis to Bermuda started Friday at 1330. I have only done one of those but a fun fast race. I think the C & C withdrew with electrical problems. Thanks, I was thinking it might be that. I used to race ( Beach Cats for 15 years, Gulf Coast) and this brought it all back. So I think I need more than 19.75' of waterline! The boat (The C&C maybe number 83 I believe) was still headed offshore around 9 am this morning under sail with a very light breeze. I thought he might still be racing because usually sailboats are motoring in those conditions ……..around here anyway. This is the first boat I saw early Saturday Morning because he tacked near where I had just sailed off anchor on the Eastern Side of the lower Chesapeake Bay. No wonder he looked so fast and was pointing so high. Looks like one hell of a nice boat. 356 mm pitch, feathering 2 blade prop. ELECTRICAL 12 volts D.C., 120 VAC, 30 Amp. AIS FA50 Furuno Automatic Identification System, incorporated in NavNet. serial port access. Bluetooth capable for PDA or computer. And the academy has like 10 of those. And a couple of Tp52’s as well. A few of them will be in the Newport Bermuda race as well. Used to race against them a lot. Very entertaining to be sandwiched between two of them, close hauled and charging over the start line in 15 knots, 6’ between boats. If you’re on the rail keep your feet up! Yeah, there were at least 3 of them in this race. I had no idea what I was seeing Saturday Morning as far as Navy 44 Tenacious, but I quickly learned it could really point! I researched it when I got back on Sunday. Sly, the XP44, was the one I saw more out in the bay with a black jib I believe. The boat I crewed on had the same PHRF rating as the 44's, although only a 38', so we battled them constantly. Basically, if you made one mistake...a botched tack, a slow kite haul, etc. the race was over. The mids don't make mistakes. These boats do come on the market now and then, as "government surplus" at auction sites, when they are decommissioned. They are maintained incredibly well (picture Navy sailors with holy stones scrubbing decks lol), but they are also used hard. They are no frills training and racing machines, rigged and outfitted for ocean sailing. I certainly enjoyed watching the one I saw, Tenacious, plus the other boats. He (Tenacious) came right in where I had spent the night maybe 10 miles or so above Cape Charles off Smith's Beach. So I sailed North from VA Beach/Norfolk on Friday. My outboard died (overheated) on the way out Little Creek, but I said the hell with it. So after I crossed the shipping channel (Thimble Shoal Channel) just ahead of a ship, the wind picked up and I had the tide. My Bristol 27 at one point actually hit 7.8 knots in the deep channel near the anchored tankers close to Cape Charles. So when I got up I carefully fixed coffee with my propane hot plate while the boat still pounded into the waves, but a least now the waves were head on and not on the beam. After I got straight, I raised sail and sailed off my anchorage barely missing running aground as the wind was pushing me toward shore. Depth finder showed 1' under the keel as I made the turn. So now I'm headed just North of West since my Bristol simply will not point. It's around 8 am or so. So I see he runs this tack way long, on the tracker for the race it shows he must have picked up some land effect breeze. I didn't know any of this at the time but when he tacked, I'm like. Nope, you can't point with that guy. I thought It might have been an old full keeler trying to get to Harbor Fest. So now I'm sailing my Bristol (I love her lines) and see another boat with a black jib. He has a good line going as I'm trying to get SE to Kiptopeke where my son is meeting me with tools to repair the outboard. So I sail way west to line up with him then tack and as luck would have it there is a tanker coming up the bay and I'm going to cross too close so I tack back. This over 30 minutes or so. There are 18 tankers anchored in this area. So after tacking twice to clear two moving tankers, I'm headed SE again but directly at another tanker at anchor so I have to sail off the wind a bit to avoid. I was so concerned with the tanker (he was blocking the wind and I didn't want the strong outgoing tide pushing me into him) that I never saw another race boat that crossed maybe 4 boat lengths in front of me. The boat was at least 40' plus. 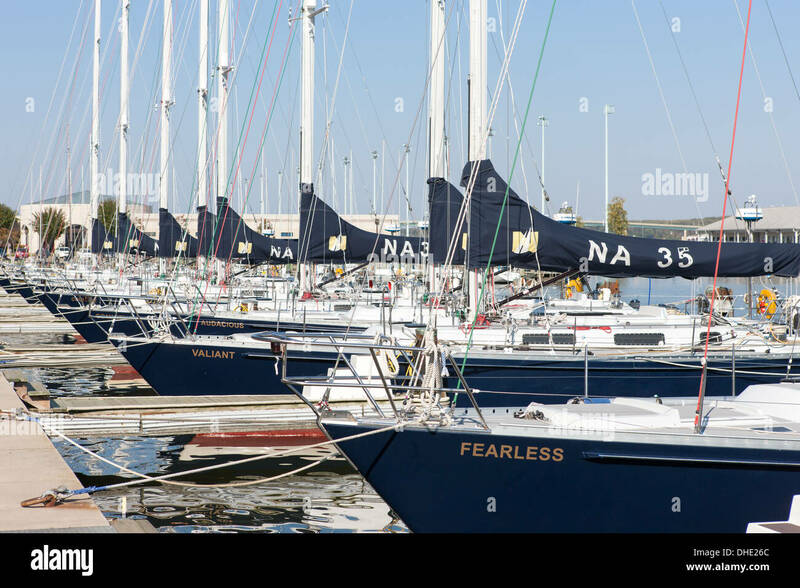 So long story short (er), The first boat I saw was Tenacious which is a 44' sailboat funded by Congress for the Naval Academy. The one with the black jib that I thought I might follow his line may have been S/V Sly which is an XP44. Sly was first in line honors. Tenacious was second in line honors and first in PHRF 1. I've been on a few races where we had to sail through that area at night, through all the anchored ships, then on out through the CBBT. Weirdly exiting and terrifying at the same time. So many lights between the causeway and bridge, Norfolk, and heavy ship traffic, but lots of it blocked out by hulking black shapes around you. I think he was talking start line honors as Tenacious (A Navy 44) had a crown symbol off it most of the race. That would definitely be worrisome.......I don't like it during the day. Tenacious had the crown because they were first in class most of the way..